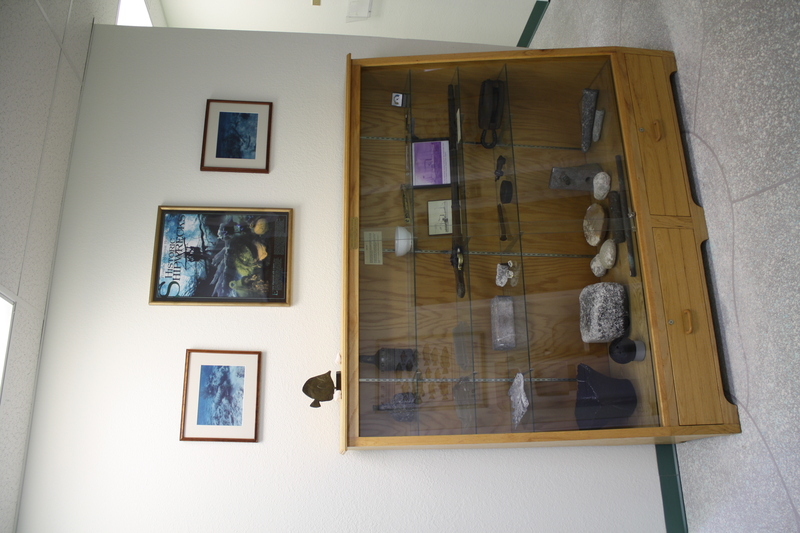 Welcome to the Florida Keys National Marine Sanctuary office who represents, supports & promotes their many affiliates throughout the Keys. 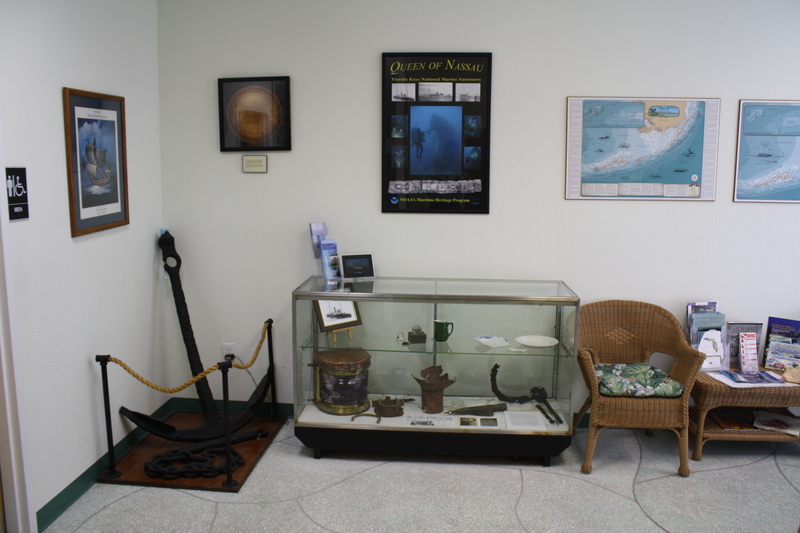 Although this is the main office, there’s still a FREE display of maritime memorabilia throughout its facility as you can see by the two photos below of glass cases filled with artifacts. There’s also a maned information counter full of FREE brochures, maps and other oceanic related handouts. 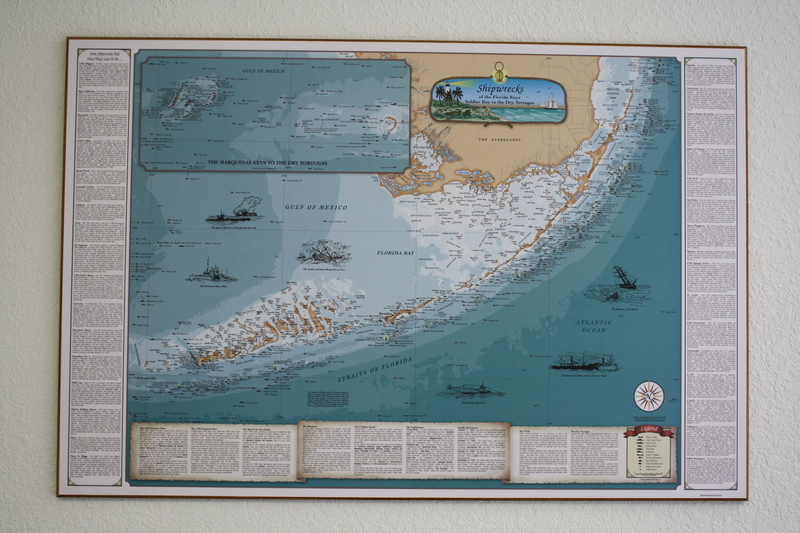 Posted on the walls are a number of very interesting maps that document EVERY known location of shipwrecks, ocean depths & lighthouses throughout the Keys to name a few. Though they welcome tourists & visitors with open arms please remember that this is an office that supports and promotes its affiliates and therefore is open during normal working business hours. They represent NOAA (National Oceanic and Atmospheric Administration), Wild Bird Sanctuary & Florida Department Of Environmental Protection and many others. I’ve driven by this for years yet have only stopped in recently and glad that I did. I too hope you’ll have time to do the same on your next visit! 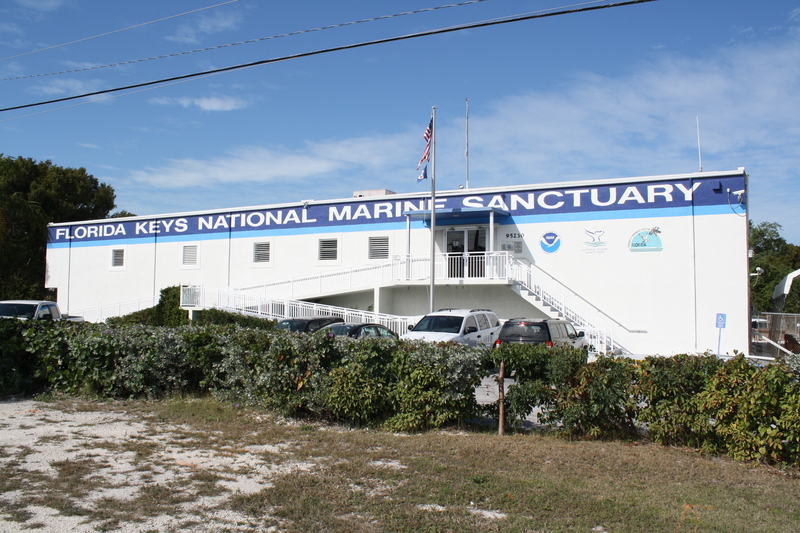 You can find the Florida Keys National Marine Sanctuary home office at Mile Marker 95.1 bayside here in the beautiful Florida Keys.